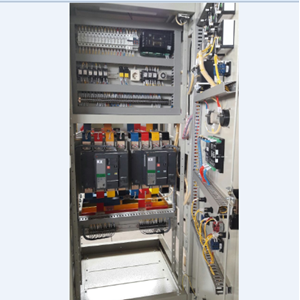 Sell Panel ATS (Automatic Transfer Switch) is a type of electrical panel with the function of controlling 2 sources of electricity that can be handled automatically and safely of course. 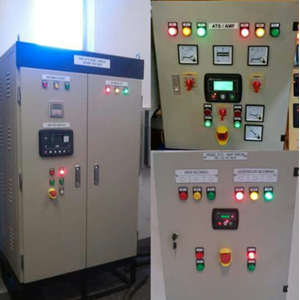 These ATS genset panels are actually suitable when used in factories, offices or homes that want a security system when switching the main source of electricity to an alternative power source. The ATS panel is a type of electrical panel used to regulate power transfer. This product is widely used in generators. AMF panel is a type of electrical panel that serves to power the engine generator if the load is served to lose the main source of electrical energy / PLN.